BOC Australia has completed a $35 million upgrade of its Western Sydney manufacturing site that will significantly expand the company’s specialty gasses capability. BOC invested $20 million in a new specialty gasses facility and a further $15 million in a world-first automation system that was deployed at its Sydney Operations Centre in Wetherill Park. 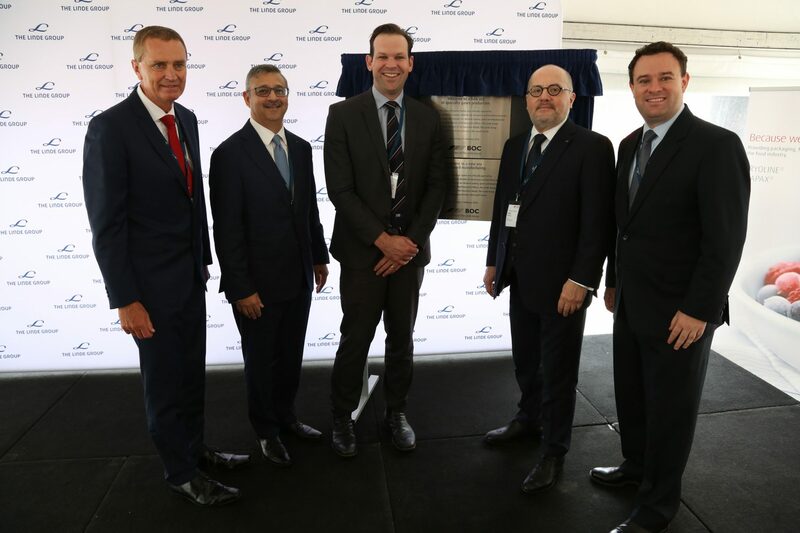 John Evans, BOC South Pacific Managing Director, said the facility will increase BOC’s capacity to supply over 8,000 high purity and specialty gases to many high value industries in Australia ranging from science and medical research, to manufacturing and energy exports. “BOC is proud to be expanding our specialty gases capability to meet future demand for high precision gas mixtures and support Australia’s vibrant research and knowledge-based economy as it continues to grow,” Mr Evans said. He said BOC’s new robot cylinder automation system has transformed the way cylinders are sorted, picked and moved around the busy production site. “The system is a world-first application of a six-axis robot combined with four turntables that can see, pickup and handle cylinders,” Mr Evans continued. Professor Dr Aldo Belloni, CEO of The Linde Group which owns BOC, said this world-first automation system was a clear example of the cutting-edge innovation for which The Group is globally recognised. “Innovation is in our DNA. The Linde Group pride ourselves on being the world leaders in innovation in the gases industry, and BOC in Australia is leading the new era of automation,” he continued.